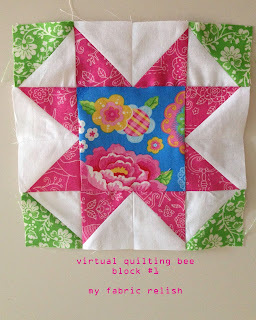 I snuck in some time today to make my first block for the Virtual Quilting Bee over at Diary of a Quilter by Amy Smart. Here is my first block. I went with Gypsy Girl by Lily Ashbury for Moda. 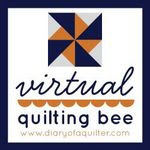 I have a layer cake and that should be plenty to make all 16 blocks.